Advameg. (n.d.). South Korea. Retrieved from http://www.everyculture.com/Ja-Ma/South-Korea.html. Central Intelligence Agency. (2017). 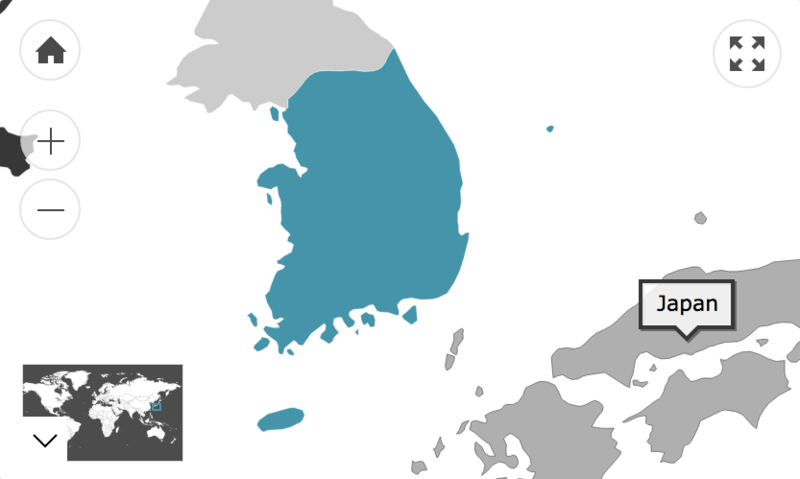 The World Factbook: South Korea. Retrieved from https://www.cia.gov/library/publications/the-world-factbook/geos/ks.html. COMMISCEO Global. (2016). South Korea Guide. Retrieved from http://www.commisceo-global.com/country-guides/south-korea-guide. Culture Crossing Guide. (2014). South Korea. Retrieved from http://guide.culturecrossing.net/basics_business_student_details.php?Id=7&CID=110. Department of Immigration and Citizenship. (2015). Community Information Summary: The Republic of (South) Korea-born. Retrieved from https://www.dss.gov.au/sites/default/files/documents/02_2014/korea.pdf. Geert Hofstede. (2016). South Korea. Retrieved from http://geert-hofstede.com/south-korea.html. Yang Sun Geun, Y. S. (2002). Chaemyoun-Saving (Face Saving) due to Korean Job Loss: Listening to Men's Voices'. Journal of Comparative Family Studies, 33, 73-95. Global Affairs Canada. (2014). Cultural Information - South Korea. Retrieved from http://www.intercultures.ca/cil-cai/ci-ic-eng.asp?iso=kr#cn-1. Ha, J. S., & Park, J. (2011). An Investigation Of Korean Youth Subculture Styles Of The 2000s. International Review Of Social Sciences And Humanities, 1(2), 1-16. Investopedia. (n.d.). Chaebol Structure. Retrieved from http://www.investopedia.com/terms/c/chaebol-structure.asp. Kim, S. N. (2008). Divorce In Contemporary Korea: Individualization, Intimacy And Gender. The Centre For Women's Studies. Kocken, M. (2014). Insider Perspective: Seven Reasons Why Korea Has the Worst Productivity in the OECD. Retrieved from http://www.businesskorea.co.kr/english/oped/opinions/3698-insider-perspective-seven-reasons-why-korea-has-worst-productivity-oecd. Learn Korean Language. (2007). Korean Culture. Retrieved from http://www.learnkoreanlanguage.com/Korean-Culture.html. Museum Victoria Australia. (n.d.). History of immigration from South Korea. Retrieved from https://museumsvictoria.com.au/origins/history.aspx?pid=34&cat=NONE&cid=0. Rough Guides. (n.d.). South Korea // Culture and Etiquette. Retrieved from http://www.roughguides.com/destinations/asia/south-korea/culture-etiquette/. Sorenson, C. W. (2016). The Value and Meaning of the Korean Family. Retrieved from http://asiasociety.org/education/value-and-meaning-korean-family. UKTI. (n.d.). Doing Business in South Korea. Retrieved from http://www.southkorea.doingbusinessguide.co.uk/the-guide/south-korean-culture/.